JAG PANZER Release New Track "Far Beyond All Fear"
US Metal legends JAG PANZER release a new lyric video for the song "Far Beyond All Fear" today. The track is taken from their forthcoming album The Deviant Chord. 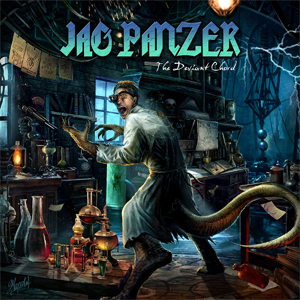 JAG PANZER guitarist Mark Briody created the lyric video: "I wanted the video to be a Jules Verne style adventure, like the kind we grew up with. I always wanted to set the lyric video in the same time period as the cover (late 1800s) so I could give some back story to the album artwork!"